Nightfood founder Sean Folkson is a formerly frustrated nighttime snacker whose late-night cravings led him to seek a better solution for himself and others. When he couldn't find a night snack he could keep in the house that would be healthy, delicious, convenient, and sleep friendly, he decided to create the Nightfood product line and bring it to market. Prior to founding Nightfood, Folkson served as president of Specialty Equipment Direct, Inc., an online distributor of floor removal equipment which he founded and quickly grew to 7-figure revenues. 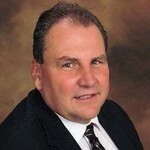 From 1998 through 2008 he served as president of AffiliatePros.com, Inc. an internet marketing company which he founded, and which provided the start-up capital to launch Specialty Equipment Direct. Mr. Folkson received a B.A. in Business Administration with a concentration in marketing from S.U.N.Y Albany in 1991. Folkson was elected president, CEO and a director upon formation of the Company. He has been CEO and President of our subsidiary Nightfood, Inc., a New York corporation, since its formation. Jim Christensen is the former Vice President of Ice Cream Sales for Unilever. For over 20 years at Unilever, he led sales and distribution initiatives for brands such as Ben & Jerry's, Klondike, Breyers, and Good Humor. Jim joined the Nightfood team in June of 2018. His directive is to launch Nightfood ice cream rapidly into national distribution through supermarket, drug, convenience, and other channels. Understanding that the overwhelming majority of at-home ice cream consumption occurs in the hours before bed, Christensen has identified Nightfood as the next evolution in better-for-you ice cream. Mark has over 37 years of experience as a seasoned financial and management professional. 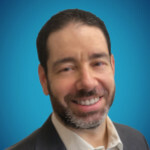 He has served as Chief Financial Officer of several small cap public companies since 2004 where he oversaw virtually every aspect of the company’s operations, administration, customer service, and human resources and worked closely with the company’s Executive Team, Board of Directors and investment advisors. Mr. Noffke was a Managing Director of a boutique investment bank, where he conducted due diligence and acquisition analysis in various industries, including waste recycling, forest products and automotive. Mr. Noffke, has served as the chief financial officer and a Director of U.S. Forest Industries, Inc., a timber manufacturing company, where he was responsible for developing the company's accounting infrastructure. Mr. Noffke, is a Certified Public Accountant and has a Bachelor of Science in Accounting from Valparaiso University in Indiana. Mr. Noffke, is an exceptional visionary and a master team-builder and motivator. Mr. Noffke, possesses a core competence small business and thorough understanding of the back-office metrics.